You can get something signed by Trihex, if you want. 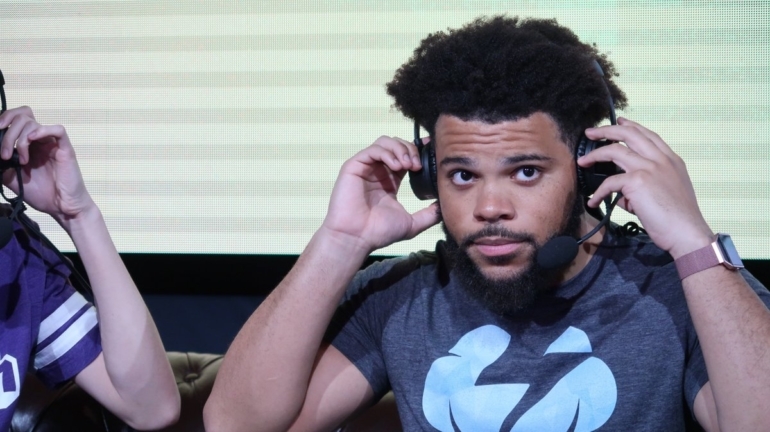 Tempo Storm speedrunner Mychal “Trihex” Jefferson is holding an autograph session on July 12—but it’s online only. The North American esports organization has partnered with media engagement company Fangage for its digital autograph platform. The platform lets fans upload images or graphics to the site, then the celebrity—here it’s Trihex—signs it in real-time. It’s unclear if this is a free service. Trihex will be streaming the process on July 12 at 4pm CT.
Fangage capitalizes on the “digital age,” which makes it uniquely suited for esports. Born in a digital arena, esports have long been online-only experiences. But is a digital autograph something that’ll appeal to esports fans? The jury’s still out on that one. At first glance, a digital autograph feels less personal than an actual, physical autographed object. There’s nothing to be held in your hands with a digital autograph, nothing physically permanent. But given esports’ history in the digital realm, that may not matter to esports fans. Fan engagement is changing with the digital age, and esports is perfectly suited for the advancement. We’ll see how it goes down—and if the experiment is successful—during Trihex’s live autograph signing on July 12. Folks interested must upload a screenshot or image on Fangage ahead of the event.